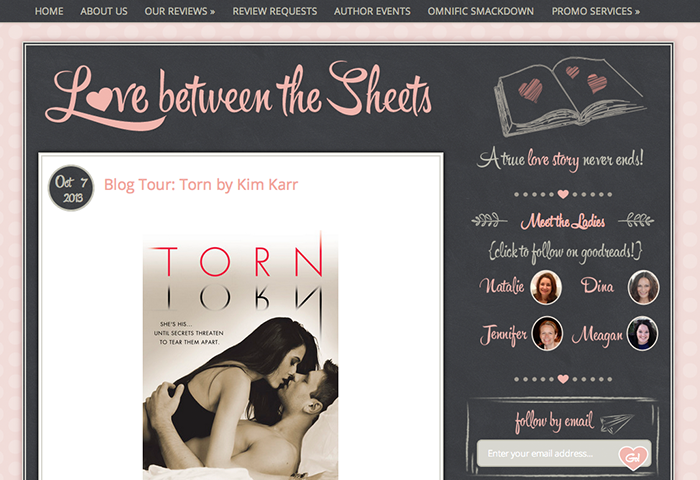 Natalie and the rest of the lovely ladies from Love Between the Sheets had a modern romantic vision for their custom WordPress book blog design. It was a lot of fun to mix different textures and graphics on this site design. The chalkboard and pink turned out to be a great combo! During the design process we talked about what each post would look like, and the best way to format the blockquotes and heading fonts to achieve a stylish look for the synopsis area and book reviews. Thank you, to the beautiful sisters and ladies between the sheets. I’m so thrilled you love your custom WordPress book blog design!